The bride’s wedding dress and shoes are often the most highlighted pieces in the wedding outfit, but the wedding accessories too are just as important. 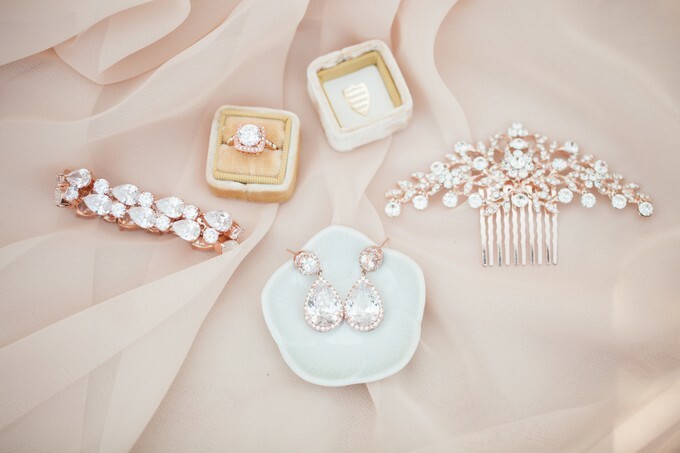 How do you pick the right jewelry to go with your wedding dress? Here are tips to remember when you’re at the bridal studio in Singapore. Your wedding accessories should be the final pieces in your outfit. Don’t decide on what jewelry you should wear until you have chosen your wedding gown and shoes, because it’s important to match your accessories with the style, neckline, color, length, and embellishments of your wedding dress. You can choose to finalize your hairstyle, however, after you have picked a hair accessory. Remember that your accessories should reflect who you are, so stay true to yourself and avoid experimenting with styles you’re not comfortable with. It’s going to be your big day after all, so you must be as comfortable as possible. 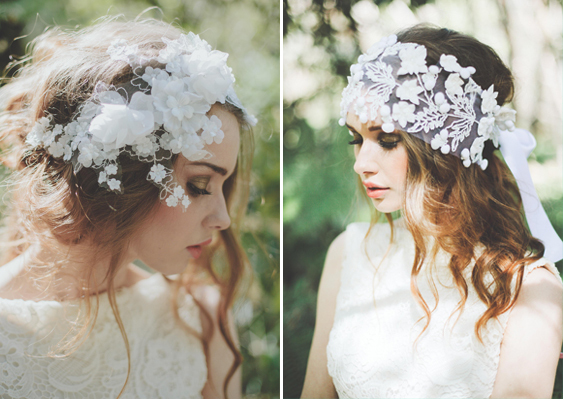 When choosing a hairpiece, keep in mind the theme of your wedding. A lot of brides nowadays do away with the veil and play with the different hair accessories available, such as vintage pieces, beach bridal hairpieces, hair comb, tiara, bridal clip, headband, hair vines, hair pins, and hair flowers. Your hair accessories from a beautiful bridal studio in Singapore however, will not just depend on the wedding theme, but your hairstyle too. It’s also important to bring your earrings when trying on the hairpiece. The earrings will serve as the basis of the style and neckline of the gown, as well as make sure that the jewelry doesn’t clash with the design of the hairpiece. Here are things to keep in mind when choosing a wedding veil. 1. Match the Colors. When choosing a veil at the bridal studio in Singapore, the color should be an exact match with that of your gown. 2. Simple is Better. A simple veil will not clash with a very detailed dress, so always stick to simpler designs for the hairpiece. 3. Back of the Dress. Consider the back of the dress as well when choosing the fabric of the veil. If you want to show off your figure, pick a sheer veil with a lot of beading and embroidery. 4. Veil Length. The length of the veil will depend on your height. Floor-length veils will make petite brides appear taller, while mid-length veils look great on taller brides. Short veils, however, will work for all sizes. You don’t need a complete set on your wedding day. You should only pick the essential pieces that will complement your gown. If the wedding dress you picked at the bridal studio already has a lot of embellishments and details, you don’t need a lot of accessories that will clash with the most important piece in your outfit. Sometimes a hairpiece and a pair of earrings is all that a bride needs. Your bracelet should match the color of your necklace and earrings. Make sure it doesn’t snag on your dress or hair and fits your arm snugly. Don’t wear a watch on your wedding day, they won’t go well with your dress even if it’s studded with precious gems. Don’t worry about the color and style of your wedding ring and if it would clash with your gown and accessories, because the ring is a separate piece that should be highlighted. When choosing accessories at the bridal boutique, the first thing you must remember is how the pieces will affect the look of your dress. If you want to wear dangling earrings and a necklace, consider the neckline of your dress. 1. Strapless. A strapless dress will allow you to wear a statement necklace. Go with simple earrings like small drops or studs so your accessories don’t look over the top. 2. One-Shoulder. You can wear a statement necklace or a simple piece depending on the embellishments of the gown, as long as the shoulder strap doesn’t touch the necklace. If the dress is detailed, you can forget the necklace and go for detailed earrings instead to catch the eyes. 3. Boat Neck or Bateau. This type of neckline will follow the outline of your collar bones. You can either choose not to wear a necklace or pick a short-length piece. You can pair it with mid-length earrings like drop earrings that won’t reach your shoulders and a bracelet. 4. Spaghetti Strap. Consider the details of the dress before choosing a necklace, bracelet and earrings. A gown with a lot of embellishments needs simple jewelry. If your dress doesn’t have a lot of details, however, go for a matching statement earrings and necklace. 5. V-Neck. This type of dress doesn’t need a lot of accessories. You can pick a simple necklace that will not clash with the neckline of the gown. The length of your earrings should not graze your shoulders and the style should match the bracelet. 6. Halter. You won’t need a necklace for this type of dress because the halter already highlights your shoulders and neck. Pick mid-length earrings at the bridal boutique and pair it up with a simple bracelet. When choosing jewelry, you don’t need to have a matching set of precious stones, but matching metal types. That means that if you pick white gold for your earrings, all your other accessories should have a white gold setting as well. The bridal boutique in Singapore will have a selection of jewelry that you need to match to the color of your wedding dress. For example, a white dress has to be paired with platinum, silver or pearl jewelry; an ivory-colored dress will go well with gold jewelry; off-white dresses look good with rose gold, silver, yellow gold or pearls; champagne-colored gowns are paired with gold; and blush-colored dresses look stunning with rose gold jewelry. If your gown has colored beads, match that detail with the same colored jewelry. This entry was posted on Thursday, October 19th, 2017 at 6:26 am by Editor	and is filed under Wedding Tips. You can follow any responses to this entry through the RSS 2.0 feed. You can skip to the end and leave a response. Pinging is currently not allowed.